The purpose of this installation is to deal with fear as a shared experience, and how human beings deal with and overcome feelings of fear that emerge from instinct (fight/flight response). A lot of humans (including myself) experience a response to tragic/distressing events through an internalization of the event: they place themselves in the position of “sufferer”, even if they are only secondary witnesses to the event. The media encourages and feeds off of this internalization, and thus, has crated a culture of fear about certain events, whether it is terror, disease, disaster, etc. How do we deal with this fear that is always being presented to us? This installation aims to create an environment of shared anxiety, which will subsequently become obscured/lessened through the introduction of panels of text revealing thoughts to combat inner anxiety. The more panels/texts are introduced, the less the environment contributes to anxiety. There should be a transition from a space of high anxiety, to one of mediated calm. The video footage in the installation was on a loop, and with each loop, a panel of text was drawn across the projection. 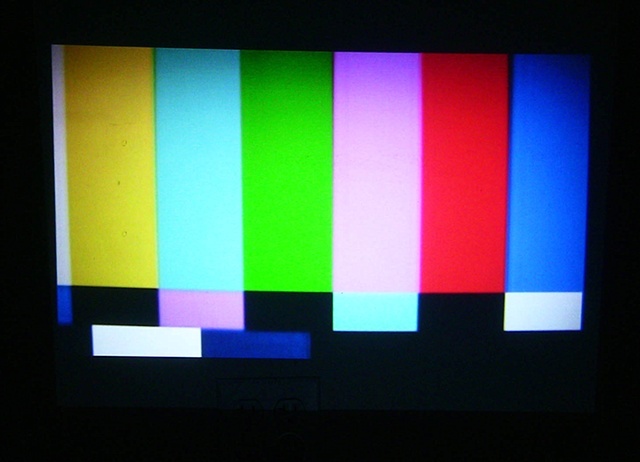 At the same time, the sound of the video decreased with each loop, so that by the time the final panel was pulled across, there was no sound.